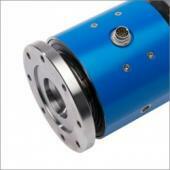 The Series 7500 Torque Sensor has a PTO (Power Take-Off) shaft with integrated torque and angle measurement. It uses a non contact measurement system and is highly robust. The Series 7500 Torque Sensor has measurement ranges from 500Nm to 2000Nm and an accuracy class of 0.5%. See the data sheet for the Series 7500 Torque Sensor below.